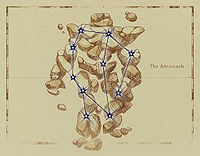 In Tamriel, a birthsign is the constellation under which a person is born. 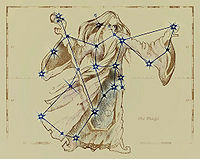 Each bestows upon those born under it unique magical powers - either passive or active - and may be perceived as either a "blessing" or a "curse". Attribute bonuses: Lady; Steed; Thief; and Warrior. 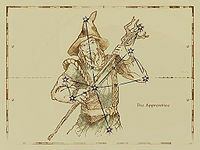 Magicka effects: Apprentice; Atronach; and Mage. 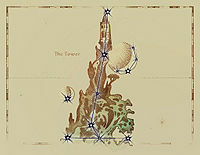 Greater/lesser powers: Lord; Lover; Ritual; Serpent; Shadow; and Tower. All attributes are capped at 100. The Warrior, Thief, Lady, and Steed birthsigns won't allow you to go above this cap. A character's chosen birthsign cannot be changed in-game (without the use of the console), but Doomstones can provide additional powers - sometimes even permanent ones - that are similar to, and in some cases better than, those offered by the birthsigns. For example, the Shadow birthsign offers invisibility for 60 seconds, while the Jone Stone offers invisibility for 120 seconds. In-Game Description: The Apprentice ability confers a 100-point bonus to your Magicka attribute, but gives you a 100% Weakness to Magic. Load Screen Description: Those born under the sign of The Apprentice have increased Magicka, but also have a weakness to it. Emperor's Commentary: "Today the Apprentice shall serve you at the forge of destiny." Conjuration is very valuable in providing cover, especially by taking blows from magic for you. An Apprentice caster is going to be fragile against all forms of magical attack, so learn to love your pets. Remember that an Altmer already has a weakness to fire, frost and shock magic. Altmer weaknesses + 100% Weakness to Magic = quick death against a spell caster. However, if you can find a way around these weaknesses, e.g. a resist magic or absorb magic spell, this can be a very good combination. A Breton's natural resistance to magic can effectively halve the Apprentice's disadvantage and add 100 Magicka to their already substantial Magicka reserves. One distinct advantage of this birthsign is that it gives you access to the Weakness to Magic effect for spell making and enchanting. Custom Weakness to Magic spells can be used to devastating effect, especially if you cast them one after the other. The only buyable Weakness to Magic spell in the game requires Journeyman level in Destruction, one of the most difficult magic skills to raise. There are a number of items with Resist Magic, Reflect Spell and Spell Absorption effects which you can find to help protect you. An Apprentice will find three of the Daedric artifacts particularly useful: the Ring of Namira; Saviour's Hide; and Spell Breaker. When you get access to the Arcane University, customize all self-target spells with a marginal ailment (e.g., Drain Fatigue 1pt). This will render the spell "harmful", thus causing it to be magnified 100% by your Weakness to Magic. This is a wonderful way to turn your glass cannon "weakness" into a unique and fun advantage, effectively doubling the power of healing, protection, and fortify spells on yourself. This exploit does not work if you have installed the version 1.1.511 patch. Any active Spell Absorption effects can ruin these custom spells. In-Game Description: With the Atronach ability you don't regain Magicka over time. Instead you have a 50% Spell Absorption to recharge your Magicka. Your base Magicka is also increased by 150 points. Load Screen Description: Those born under the sign of The Atronach cannot regenerate Magicka, but have a chance of absorbing any magic cast at them. Emperor's Commentary: "Today the Atronach shall aid you with your appointed burden." This birthsign is an important component for maximizing your Magicka. Restore Magicka potions, Welkynd Stones, Ayleid Wells, etc. Spell Absorption: Reach 100% Spell Absorption, thus allowing you to absorb all possible spells. This includes Telekinesis spells you cast yourself. Wayshrines and Altars of the Nine in chapels provide some of the largest magicka boosts when absorbed. The Lucky Old Lady statue can be activated an infinite amount of times, making it a reliable method to completely restore your magicka, with or without 100% Spell Absorbtion. Ayleid Wells can also be used to regenerate up to 400 points of Magicka and grants a Fortify Magicka 50 boost to your bar. These can be used daily and can be found all across Cyrodiil. Absorb Magicka: Enchant weapons or, at high Restoration levels, cast spells. Certain summoned creatures (like the Faded Wraith) have a larger reservoir of magicka than is required to both summon them and drain them completely of it using an Absorb Magicka spell. This can be used to completely restore magicka at any time, as long as you are not run completely dry, albeit at the cost of some time and repetition. Even if you never intend for your character to cast magic, you can still benefit from the Atronach's Spell Absorption. As a warrior, for example, you would simply absorb half of the spells cast at you, making combat much easier against spellcasting opponents. If you can increase your Spell Absorption to 100%, you will have a character who is immune to most magic. Choosing the Atronach birthsign will make the Willpower attribute useless apart from increasing your fatigue, which many magic-oriented characters do not rely on. Load Screen Description: Those born under the sign of The Lady have increased Willpower and Endurance. Emperor's Commentary: "Today the Lady shall fortify you in your quest for glory." The total Health points you gain each level is determined by your Endurance at the time you level. Thus, increasing your Endurance as quickly as possible early in your character's life will give you the highest potential Health later on. This early 10 point boost can be a big help. If you don't want to use the Atronach birthsign but are still planning on playing as an Altmer (High Elf) spell caster, this is another good choice (along with The Mage Birthsign). It boosts your Willpower and Endurance to 50 each (if you are a male, but is still useful for the more frail female Altmer). Khajiit, Nords, Argonians, Dunmer and Bosmer may also find this birthsign useful. Not recommended for Orcs, who start with high Endurance and Willpower. This birthsign is also very useful to battlemages - the +10 Endurance bonus will help you survive longer in combat, and the +10 Willpower modifier can be helpful to boost your Magicka regeneration. If used in conjunction with a powerful Breton battlemage, you can also survive much longer against other spellcasters due to the health bonus and your latent resistance to magic. In-Game Description: Being born under the Lord gives you the Blood of the North lesser power to regenerate up to 90 points of Health. However, you also gain the Trollkin curse, a permanent 25% Weakness to Fire. 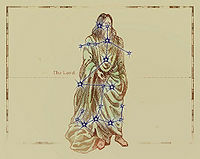 Load Screen Description: Those born under the sign of The Lord can regenerate Health, but are vulnerable to fire. Emperor's Commentary: "Today the Lord shall prove a faithful patron as you confront your fate." Blood of the North allows the player to cast a Restore Health effect at magnitude 6 for 15 seconds (90 points of healing) for an incredibly low cost of 50 Magicka. This is by far the most efficient healing spell in the early and middle game, until you achieve a high Restoration skill. The next most efficient healing spell is the one that all characters get at the beginning of the game (Heal Minor Wounds) which is far less effective. A Lord gets a Journeyman-level, Magicka-light healing spell right from the start of the game. This sign is especially useful for combat based characters, as the spell may be cast multiple times to top up your health levels in the middle of a fight, and it would take a long time to gain a high enough Restoration skill to cast an equally effective healing spell. This healing ability is also a Lesser Power, so it is unaffected by any armor your character may be wearing. Conversely, this sign is not recommended for magic based characters, especially if Restoration is a major skill, because you do not gain experience by using Lesser Powers. The 25% weakness to fire can be countered by wearing a piece of armor with a Resist Fire enchantment. You could either custom-make this, find it in random loot, or use a Sigil Stone. Dunmer characters have a natural resistance to fire, so are particularly suited to this sign. Altmer characters on the other hand will probably want to avoid this sign, due to their innate weakness to fire. In-Game Description: Use the Lover's Kiss power once a day to Paralyze an opponent for 10 seconds at the cost of 120 points of Fatigue. Load Screen Description: Those born under the sign of The Lover can paralyze others with a kiss. Emperor's Commentary: "Today the Lover shall sweeten your journey as you confront your fate." The Serpent Birthsign Doomstone grants the Cobra's Dance greater power, which provides Paralyze for 5 seconds, accompanied by Damage Health 4 points for 20 seconds on target (80 points total). There is no Fatigue penalty associated with Cobra's Dance. Although shorter in duration, some players may prefer to use the Doomstone effect to obtain a paralysis greater power. The Lover's Kiss power grants the Paralyze magical effect at spellmaking altars if you are having difficulty finding the spell. Your character might faint when this spell is cast if your fatigue is already low from jumping or swinging weapons, so you might still be on the floor when your angry victim gets back up and takes vengeance on you. Imperials can use their Star of the West greater power to absorb 100 points of Fatigue, mostly compensating for the damage caused by casting Lover's Kiss. In-Game Description: The Mage ability confers a permanent bonus of 50 points to your Magicka. Load Screen Description: Those born under the sign of The Mage have increased Magicka. Emperor's Commentary: "Today the Mage shall light your way on the paths of glory." This birthsign is well suited for mages who want a Magicka bonus without any side effects - the other birthsigns that provide Magicka bonuses (Apprentice and Atronach) both have negative side effects. Blessed Word lesser power (FormID 00022A3C): Turn Undead up to level 25 (100 points) for 30 seconds on target, multiple times per day at a cost of 40 Magicka. Mara's Gift greater power (Form ID 00022A3A): Restore Health 200 points on Self, once per day. In-Game Description: Those born under the Ritual use the Mara's Gift power once a day as a powerful Restore Health spell. The Blessed Word can turn the undead. Load Screen Description: Those born under the sign of The Ritual can heal themselves and turn the undead. Emperor's Commentary: "Today the Ritual shall speed you on your star-patterned path." Blessed Word allows the player to craft additional Turn Undead spells at spell making altars without the need to have previously known another Turn Undead spell. The Restore Health for 200 points is an instant effect much like a strong potion of healing (better in fact). This is quite useful in a pinch up to about level 15, completely healing you in most cases. While its effects are less pronounced at the highest levels, it maintains its usefulness throughout the game at any level. In-Game Description: Gain the Serpent spell to cause a slow but potent poison on touch, while simultaneously curing yourself and dispelling magic on yourself. Casting this spell costs 100 points of Fatigue. Load Screen Description: Those born under the sign of The Serpent can poison others at a loss of their own Fatigue. Emperor's Commentary: "Today the Serpent shall sting the foes who seek your blood." 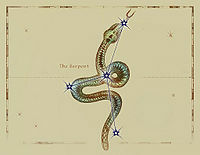 The Serpent Birthsign Doomstone gives the player the Cobra's Dance greater power. This power provides a stronger poison spell than the Birthsign, for the same duration. It is accompanied by Paralyze for 5 sec on target, and there is no fatigue penalty when casting the Cobra's Dance greater power. The Cure Poison on Self effect is very useful for non-Argonians. The Dispel 90 points on Self effect is most helpful. Moonshadow greater power (FormID 00022A66): Invisibility 60 seconds on Self, once per day. As with all invisibility effects, the power is immediately dispelled if the player interacts with any item (doors, containers, etc.). In-Game Description: Use the Moonshadow power once a day to become Invisible for 60 seconds. Load Screen Description: Those born under the sign of The Shadow can make themselves invisible. Emperor's Commentary: "Today the Shadow shall hide you from destiny's cunning hounds." Once your renown is 10, you can visit the Jone Stone and acquire the ability to become invisible for 120 seconds, once per day. 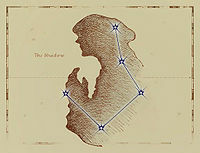 This is twice as long as the Moonshadow power granted by the Shadow, making this birthsign of limited value. Like other birthsigns with spell-like powers, this birthsign allows the caster to craft lower-leveled Invisibility spells at spell crafting altars. Very useful for thieves and assassins, although only being able to cast Moonshadow once per day can be a significant limitation. In the Black Marsh, Argonians born under the sign of the Shadow are called "Shadowscales;" they are given to the Dark Brotherhood at birth and are trained to be assassins. This is part of the back story behind The Renegade Shadowscale, but it does not otherwise affect game play. 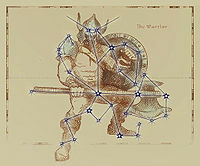 In particular, the player is not treated differently if the player chooses to play an Argonian with the Shadow birthsign. In-Game Description: The Steed ability grants a bonus of 20 to your Speed attribute. 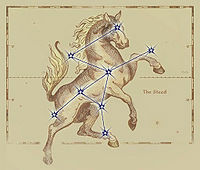 Load Screen Description: Those born under the sign of The Steed can move faster. Emperor's Commentary: "Today the Steed shall speed your progress on the road to destiny." 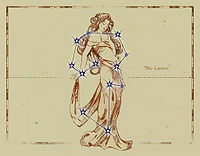 While some would not consider this to be a good birthsign, the proof is in the numbers. 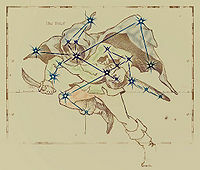 A Bosmer (Wood Elf) with a class that has Speed as a focus (such as Thief or Rogue) would have a starting Speed level of 75 when taking this birthsign. Early in the game, the Speed attribute is very easily increased. By level 6, such a character has the potential of 100 Speed. This rivals the effects of using horses. Since Speed (along with Acrobatics) affects how high you can jump, this can give you access to places to snipe your enemy from safety. Fortifying Speed past 100 is even more beneficial for similar reasons. Races with low initial values for Speed - such as Orcs - may also find the 20 points boost to Speed useful in order to overcome the deficiency. Also if you hate the drag down of Heavy Armor, this could be a helpful birthsign for you as well. In-Game Description: The Thief ability grants a 10-point bonus to your Agility, Speed, and Luck attributes. Load Screen Description: Those born under the sign of The Thief have increased Agility, Speed, and Luck. Emperor's Commentary: "Today the Thief shall guide your steps on the road to destiny." 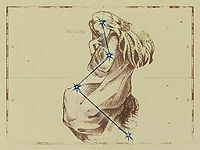 Luck is the slowest of all the attributes to raise, since unlike the others, it is not associated with any skills. This 10-point boost means you could potentially have all your stats maximized 10 levels earlier than you otherwise could. And since Luck can only ever be increased by 1 point per level, this combined with a custom class that has Luck as a class attribute saves you 15 levels of luck boosts. Because Luck affects all skills, the 10 point boost in Luck is handy. It equates to a 4 point boost in all of your skills as far as effects (but not perks) are concerned. If you customize a class to have Luck as a class ability and combine that with this birthsign, you start the game with every skill having an effective boost of +6. See the Efficient Leveling +5/+5/+5 vs +5/+5/+1 information in the character building tips for more on this. The Thief birthsign gives a player the greatest possible total bonus in terms of attributes of any birthsign. 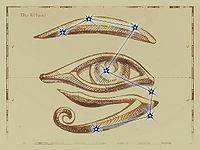 It adds a total of 30 points to attributes, while other birthsigns which raise attributes add only 20 total points. In-Game Description: With the Tower Key power, once a day open a door or container of Average lock level or less. The Tower Warden reflects five points of damage for 120 seconds once a day. Load Screen Description: Those born under the sign of The Tower can unlock doors magically, and the Tower Warden power reflects damage from attackers. Emperor's Commentary: "Today the Tower shall prove a stout refuge in time of need." The Tower Birthsign Doomstone grants the Warden Key greater power, which provides Open Hard Lock in 15 feet on Target, once per day, and therefore provides a more powerful open spell. The Tower Stone also provides The Master's Hand greater power, with Fortify Armorer 20 points for 120 seconds on Self, once per day. This birthsign is the only (non-Shivering Isles) way for your character to access Reflect Damage at the Spellmaking Altar to make custom spells. However, you still cannot make custom enchantments with it. This is not a great sign for any thief-like character as any amount of skill in security coupled with a high agility will make easy work of any average lock. Also, any good thief will want practice in Security to help boost his agility modifiers. You can pick any lock in the game with a little patience as long as you have lockpicks on hand, rendering this ability of little use. It's also possible to quest for an artifact called the Skeleton Key - an unbreakable lock pick - that will allow any character to open any lock with a little patience. In-Game Description: The Warrior ability grants a bonus of 10 points to your Strength and Endurance attributes. Load Screen Description: Those born under the sign of The Warrior have increased Strength and Endurance. Emperor's Commentary: "Today the Warrior shall prove a stalwart companion when fortune fades." The total Health you gain each level is determined by your Endurance at the time you level. Thus, increasing your Endurance as quickly as possible early in your character's life will give you the highest potential Health later on. This early 10 point boost can be a big help. Male Redguards that are planning on using a stealth-based character will find this sign of particular use because both Strength and Endurance will be difficult to raise. Starting both of these stats at 60 makes a huge difference in the survivability of such classes. Esta página foi modificada pela última vez à(s) 05h31min de 8 de abril de 2015.